What an amazing book this is. 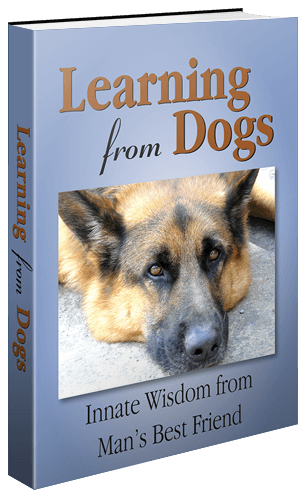 I have written about Dr Rupert Sheldrake a few times on Learning from Dogs for pretty obvious reasons! You can do a search on the Blog under ‘sheldrake’ but here are a couple of links. Serious Learning from Dogs on January 10th, 2011 and Time for a rethink on the 14th April, 2011. 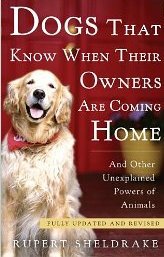 Anyway, I am now well towards the end of Sheldrake’s revised book, Dogs That Know When Their Owners Are Coming Home and it is more than fascinating. Bit short of time just now so please forgive me if I do no more than show this video which sets out some of the background to the book. Sheldrake’s website is here, by the way. OK, that’s awesome! I loved this video! You must read his book. When I get a spare moment (tee, hee!) must arrange to call you and explore backgrounds and ideas!